Ducati has officially launched the 1299 Panigale R Final Edition in India for INR 59.18 lakh (ex-showroom Delhi). 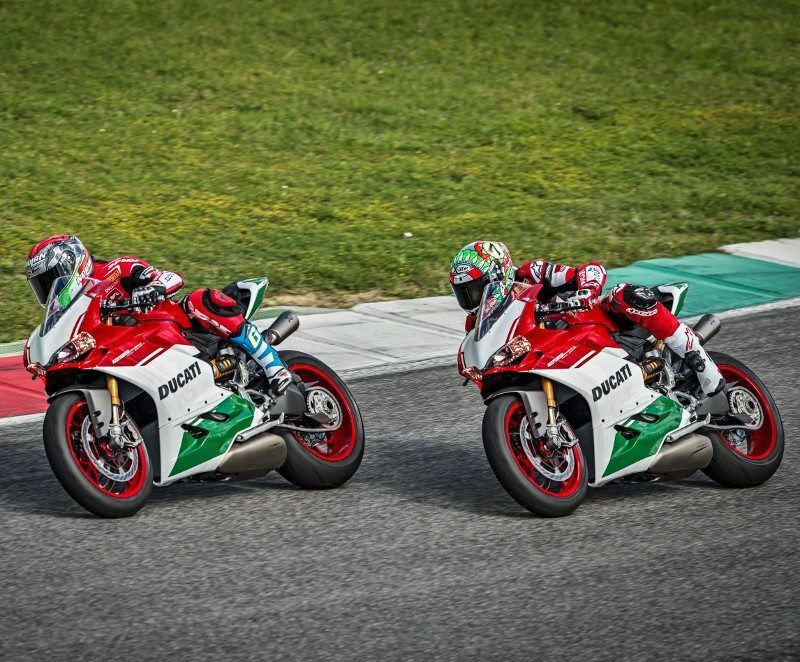 The motorcycle will be the last of its kind as Ducati will soon switch to V4 engine configuration for liter class bikes. The booking amount for this final variant is INR 10 lakh. 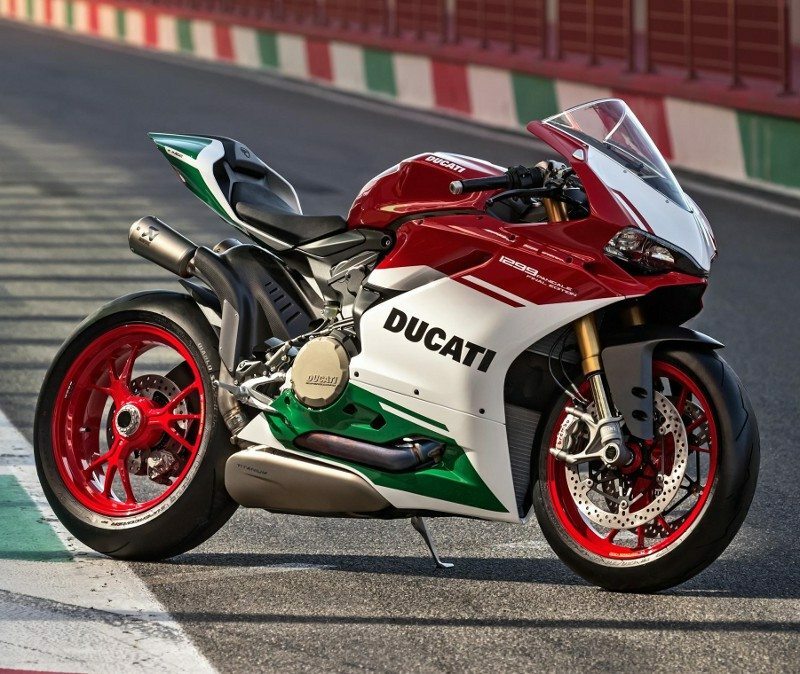 Ducati has used a unique tricolor paint that resembles shades in the Italian flag. The frame and suspension setup of the motorcycle stays the same as 1199 Panigale R.
The motorcycle is powered by a 1285 cc engine that is good for 209.4 HP at 11000 rpm and 142 Nm at 9000 rpm. 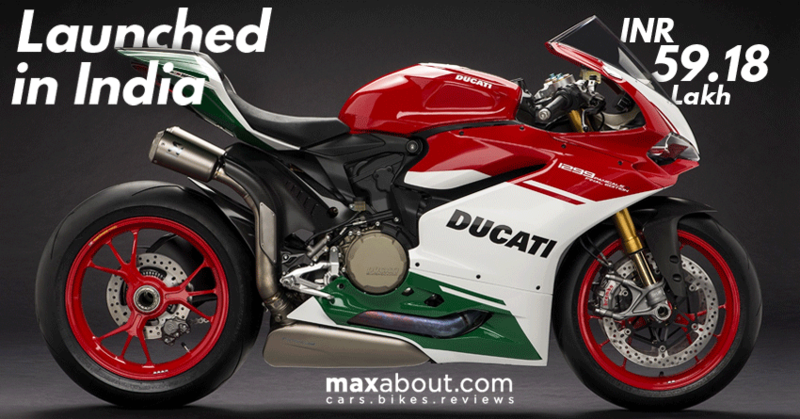 The gearbox on use is a 6-speed unit with Ducati quick-shifter and slipper clutch. Apart from the visual changes, a buyers gets lighter crankshaft, tungsten balancing pads, titanium valves and lightweight Akrapovic exhaust. This saves a lot of weight than the stock version. The final edition comes with traction control, 6-axis inertial measurement unit and cornering ABS. Ducati offer Ohlins NIX30 front forks, Ohlins TTX36 rear monoshock, 330 mm dual M50 caliper Brembo brakes and loads of other premium equipment on the bike. The overall weight is 190 kg as 1299 Panigale R uses a light monocoque aluminum frame. It rivals none other than MV Agusta F4 RC and Kawasaki Ninja H2R in the Indian market. All of these fall right above INR 50 lakh and can only be driven on a closed road or a race track.